Fancypants Baking Co. Mini Crunch! ® Vanilla Sugar Cookies. Nut free. Bite. Crunch. Repeat. Non GMO Project verified. nongmoproject.org. All natural. Zero additives or preservatives. Irresistible! Made from scratch in a dedicated peanut and tree nut free baking facility. Vanilla Sugar Cookies: Caution: these cookies are irresistible! (Hey, we warned you.) First we blend together fresh creamery butter, cage-free eggs, and lots of double-strength vanilla. Then we bake them to a perfectly crunchy and toasty brown. 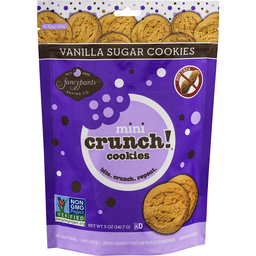 So go on and get your crunch on! 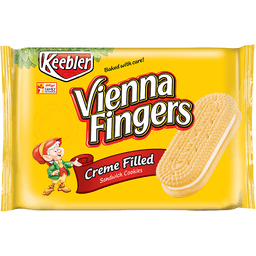 They're deliciously bite sized and completely nut free. Hello! We're Fancypants Baking Co. Our recipe for success started in 2004, hauling 100 lb bags of flour up two flights of stairs to our small Boston apartment. While our kitchen was tiny, our passion for baking was anything but. We've expanded out of that apartment (thank goodness! ), but we're still baking our hearts out with help from a dedicated team of cookie artisans. We make our cookie dough from scratch daily using 100% natural ingredients that are free of the fake stuff like artificial preservatives, flavors, and dyes. And peanuts and tree nuts never, ever enter our facility. Because we believe nut allergies shouldn't stop anyone from enjoying our treats. 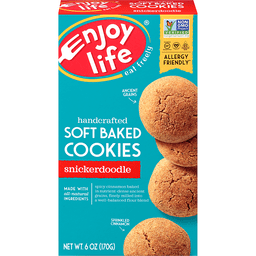 After all, life is more fun with cookies! Founder, Fancypants Baking Co. Baked by real people. No corn syrup. Certified kosher. No trans fats. rBGH hormone free. No artificial ingredients. Low sodium. More flavors to crunch on! Mini Crunch Cookies, Double Chocolate Cookies. Mini Crunch Cookies, Chocolate Chip Cookies. Mini Crunch Cookies, Brown Sugar Oatmeal Cookies. Made in a dedicated peanut and tree nut free facility. For lots more cookies and online ordering, visit fancypantsbakery.com. www.fancypantsbakery.com.